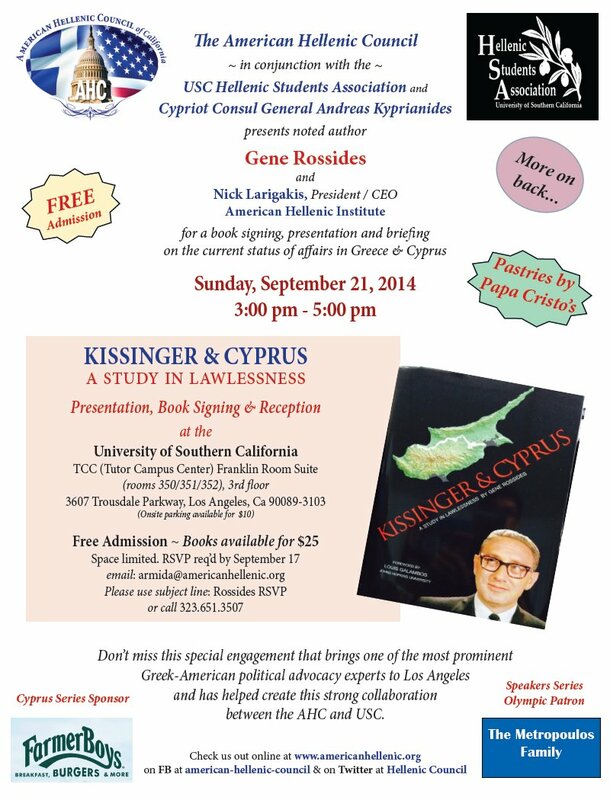 NOTE: Baywalk created only the Gene Rossides book signing event banner ad below. All other ads were provided by the AHC for promotion to our websites, lists, and social media. The American Hellenic Council, the Basil P. Caloyeras Center for Modern Greek Studies, The Hellenic Library, Hellenic University Club, AHEPA District 20, and Greek Heritage Society are proud to host a welcome reception for the Director of the Elpis Hospital, Dr. Theodoros Giannaros. Attendees will get a chance to hear directly from the Director and get an up-to-date briefing on the situation on the ground in Greece. 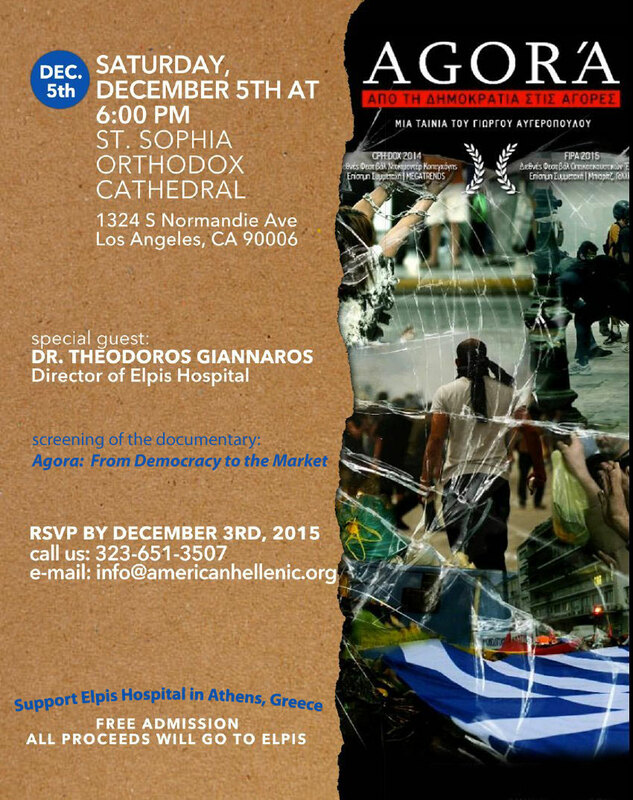 As a part of the Project Elpis campaign to generate support for the Elpis Hospital, the evening will also feature a free public screening of the award-winning documentary film, Agora: From Democracy to the Market. Join us on place on Saturday, December 5th at 6:00 PM at Saint Sophia Cathedral in Los Angeles for food and drink, and to support a worthwhile cause. 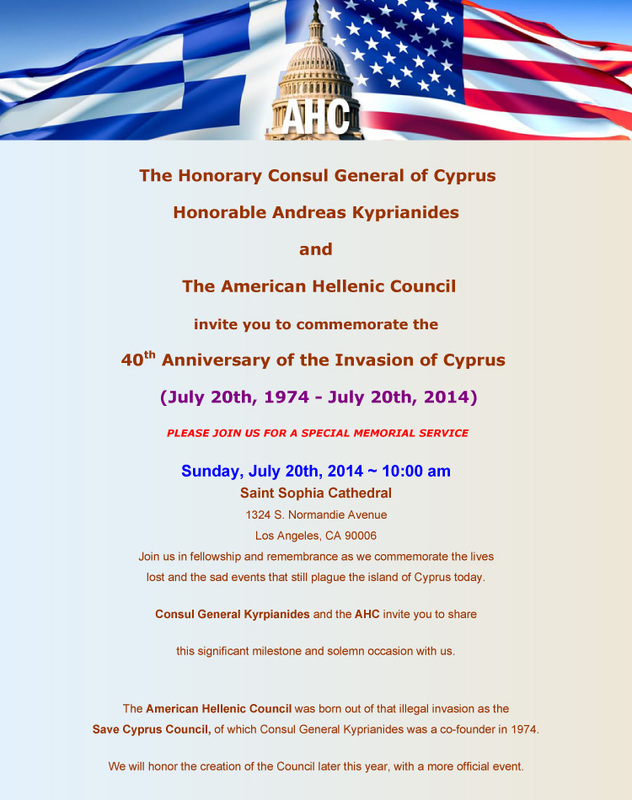 Event Flyer - Please see AHC website for room change.